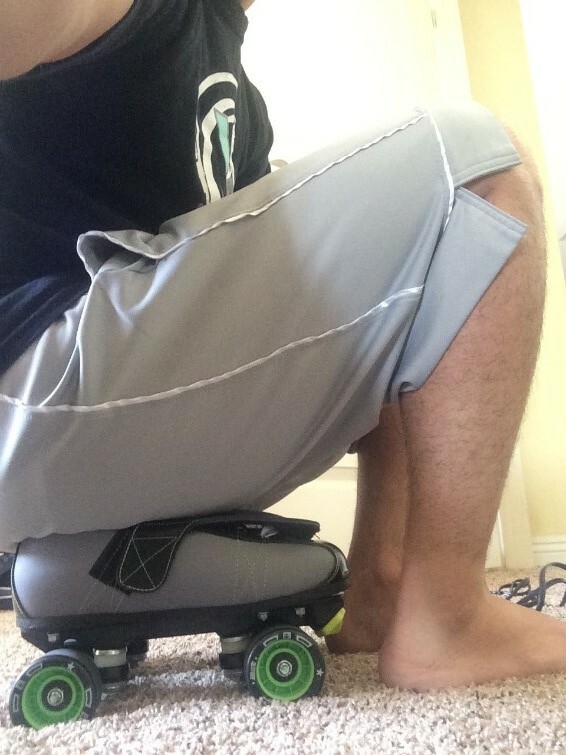 How to break in your new skates. Hey everyone, Brandon Perea here! I get a lot of questions about how I break in my skates, so I’m going to give you my step by step process on how to break in roller-skates! The leather will crease in the process, but no scuff marks will be made. 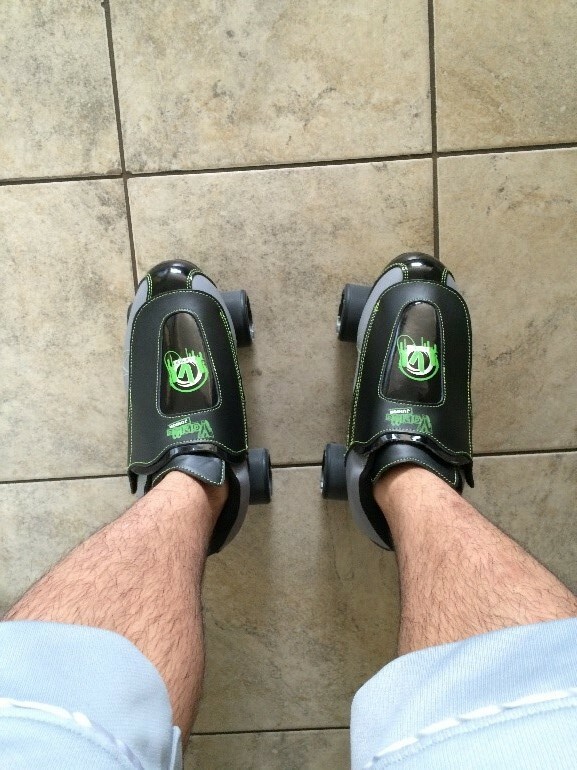 Skates won’t be pretty forever anyways! Let’s get started! Step 1: Grab your skates and a blow drier. Plug in the blow drier and set it on high. After that, start blow drying all around the boot. The leather becomes much softer from the heat from the blow drier. 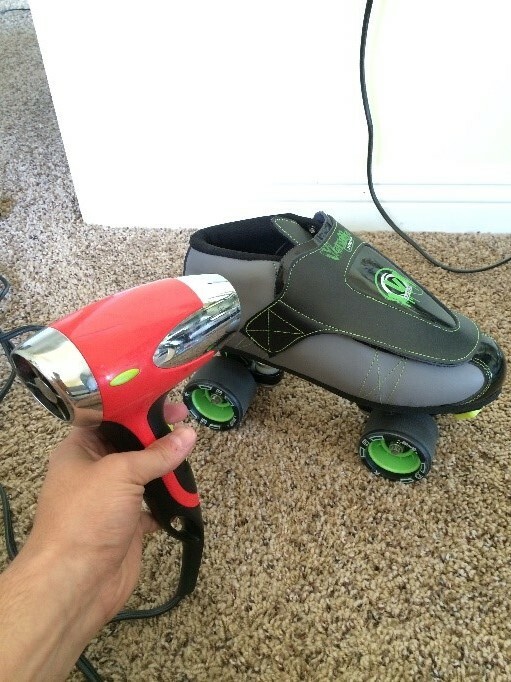 As you’re blow drying, use your hands to squeeze all around the skate. The boot may get very hot, so be careful, you don’t want to burn your hands! Make sure to blow dry in the inside of the boot as well. Step 2: Continue to use your hands to put pressure on all areas of the boot. You can also sit on your boots or stand on them. I personally do both. This process will make the boot softer. Step 3: Grab a rubber mallet and a towel. 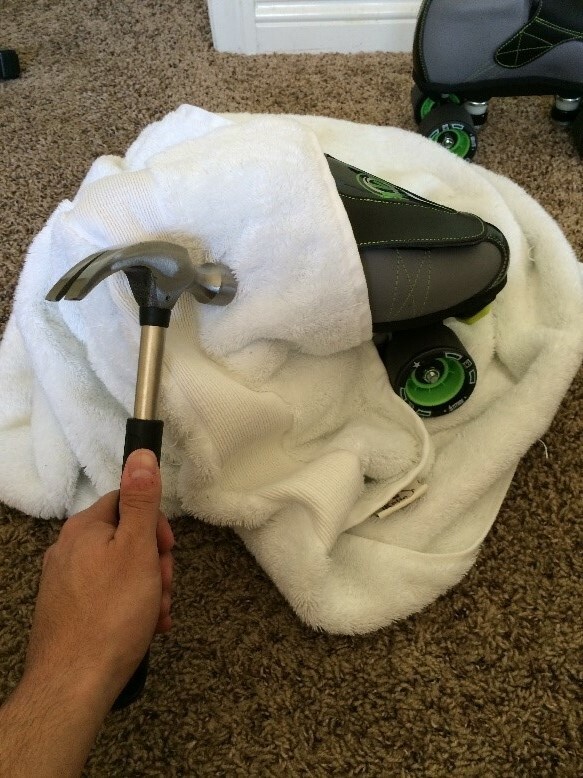 You will need to wrap the towel around your skates. The towel will avoid scuff marks from appearing. Then you take the rubber mallet and start hitting your skates with it. Make sure to really hit the hard parts like the back sides, the toe, and the back heel of the boot. Well everyone that concludes how I break in my skates! I hope you learned something from this post! Make sure to share this information with your friends at the rink. Thanks for reading! This is Brandon Perea, and remember VNLA All Day!